Here’s a customer testimonial about how ComEd’s fleet took advantage of Odyne’s system improved efficiency. Check out one Midwest community that has achieved a goal of operating its fleet efficiently while improving their crews’ work environment. 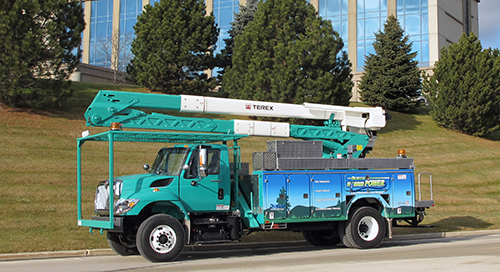 Their plug-in hybrid bucket truck is part of the solution. Learn more.